After covering the 2005 child molestation trial of Michael Jackson for Fox News, and originally thinking Michael was guilty, along with the rest of the media, Aphrodite Jones was shocked when she sat through one “Not Guilty” verdict after another. It caused her to rethink everything she had believed up to that point. So much so, that she couldn’t get it out of her mind. Feeling that she needed to explore further and dig much deeper, she secured court documents and evidence from the judge, did her own research, and came to the conclusion that she and the rest of the media, had been wrong all along, and that Michael Jackson was indeed, innocent of these charges. DK: Back in 2005, you were covering the trial for Fox News, right? DK: When you covered that trial, you had initially thought that Michael was guilty. DK: What initially made you and others in the media feel he was guilty? Was it just overall, kind of the way he’s always been portrayed? The reason I wasn’t agreeing is because I just overwhelmingly felt at the time …. I was basically being led by people like Diane Dimond who did a very good job of selling the story, if you will, from 1993 and onward through Court TV and elsewhere, Hard Copy and what not, that this was Michael Jackson. He was this horrible, sinister person. That she had uncovered the truth. It was Diane Dimond and then Nancy Grace who kind of followed Diane Dimond, along with that mentality, and I was kind of looking for only what made him look guilty. AJ: I was very one-sided and I think most of the media was that way as well, and I have to say it wasn’t just me personally, it was also the producers. Not just Fox, but all the producers in the United States at least. Canada was a little bit more forgiving and trying to be equal, but from England, from France, people I’ve spoken to, and especially in the United States, everybody was looking for, you know, the day that Macauley Culkin testified. Not just salacious, but also, sensational. AJ: You know what I mean? They wanted to hear about what he was doing right after he took the stand. They wanted to hear about the pajama day, they wanted to hear about anything that seemed wacky, weird or sensational and they didn’t really care so much about boring details of, you know, facts. That old saying of “don’t bore me with the facts,” you know? That kind of was the mentality, and it is the mentality unfortunately I think, in the news today, or a lot of the media. AJ: Where we’re really starting to see that as a society we’re beginning to realize that “oh my God, we can’t just believe CBS or any given news agency or the New York Times, because we realize now, I think, (we’re) coming to realize, that everybody has an agenda and the biggest agenda of all is selling soap. Dish soap. You know, that’s why they call them soap operas? Seriously, that is why. It derived from this fact that the sponsors of the daily dramas on TV were soap products. So you know, when you realize that (you realize it’s the) same way with newspapers. That headline has to sell. They are going to put whatever they can on newspapers that’s going to grab attention. Clearly what was grabbing everybody’s attention was not that this man has been a target, but rather, that now they finally had “caught him”. That’s what was selling and that’s what people were buying, and I was one of the biggest buyers of it. DK: Something changed where you began to feel that Michael was innocent. What made you start to rethink your original thoughts and what was that like for you, that process? AJ: What happened, it was a very strange thing. On the day of the verdict, I went in thinking he was going to be found guilty. When the “not guilty” verdicts came down, it was literally like having a ton of bricks fall on my head. I was so, and by the way, so was the rest of the media…you could see the shock. You could see the jaws drop. The fans were crying and happy, but they weren’t allowed to say anything and they couldn’t emote. But the media, I’m sitting in the front with the media, you could literally see jaws dropping. For me, that exact moment, it was like, all of the sudden, the Emporer Had No Clothes, and I saw Tom Sneddon as being this man who, all he wanted to do, was throw mud at Michael Jackson, and I realized…. DK: Yes, that’s a strange statement. AJ: Then what I realized was that what they meant is that they wanted to smear his reputation. They did succeed in that wholeheartedly. DK: What would have been their motivation, do you think, for wanting to smear his reputation? AJ: Because in their minds he was a guilty person. In their minds, he had molested somebody in 1993, (and) he got away with it. Even if they weren’t able to prove it, they were going to bring up so much dirt. Tom Sneddon actually enacted a law in the state of California, especially for Michael Jackson. Informally it was called “The Jackson Law,” but it was something like “The Jackson something,” I forget now, but the law basically allowed him to bring in past allegations within a current trial, which is typically not allowed. You’re not allowed to bring in past convictions in a current trial. No less past allegations. These weren’t even convictions. That was an allegation and a settlement, but yet, Sneddon somehow enacted a law in the state of California, in between 1993 and 2005, which would allow him to bring in past accusations. So that’s how serious he was. When I later found that out, that’s when I decided to write the book, because then I realized he had gone to Australia, he had gone around the globe, looking for potential victims. This was a mission for this man. It wasn’t just a vendetta, it was really a mission. It was something that really struck me when I figured it all out. I was like “Wait a minute. This guy, he put more manpower into accusing and destroying Michael Jackson than he did into prosecuting any serial killer.” You know? There was a huge, like I say, mission. There was a huge desire to destroy Michael Jackson. In essence, even though Michael was found “Not Guilty,” because of that lengthy and strong process and its connection to the media that the prosecutor had, because the prosecutor was sort of in cahoots with some certain nerves of the media… I won’t name names, but let’s put it this way. There were people allowed at Neverland to film the raid. That could only have happened if the prosecution had allowed that. There had to have been some simpatico, some kind of information crossing lines there, between the media and the DA, long before there was ever a trial, and that fueled the fire, because as long as the persons in the media were getting this information pulled directly from the DA, they felt, well, “we know the story”. DK: During the trial, was there a certain mood in the courtroom, or did it change daily? AJ: As far as the mood in the courtroom, we weren’t permitted to have a mood. It was very, very serious. I mean, Michael Jackson’s life was on the line there. The Judge didn’t take it lightly. You really weren’t to show any kind of mood or emotion or anything inside the courtroom. The things I noticed….people would talk about Michael, if he was wearing a wig, if he’s on drugs, or you know, negative things said by media people, so basically, my opinion now, looking back, which (were things that) basically put the nail in the coffin. DK: On the day that the verdict was read, you said you were very shocked at the verdict itself. Did you have a chance to see how Michael Jackson and his family reacted or how anybody else in the courtroom reacted to the verdict? AJ: Oh Michael was so thankful. He whispered “thank you” over to the jury. There were people crying in the courtroom. Michael’s family was very composed. Michael was composed. I ran into him when he came into the metal detector, and I was there face to face with him and at that very moment he just looked extremely scared. DK: Oh sure. That’s understandable. AJ: I don’t think it was scared from guilt, I think it was scared from “what will people,…” They could do something to him. Here he was, this very very tenuous mission, he was about to hear his fate, and even though he hadn’t done anything wrong, how could he really know what these people would decide about him? Here he’s got this room full of strangers, for all he knows, who believe the hype. I actually thought he wouldn’t show up for this, for the verdict. Clearly his attorney knew and he told me later, that he assured Michael that they had won the case. Tom Mesereau. But in my mind, coming from a different perspective, I actually thought, you know, “better for you to just go to Bahrain, or wherever you can go now, and get out of the country”, because I really thought that jury was going to….I didn’t see the light until much later. Much, much, much later. DK: I know that so many said that the accusations and the trial took so much out of him, and it did seem like whenever you saw pictures of him, it seemed like you saw that light that was in his eyes, just sort of disappear. AJ: You know, I have to say that while the trial did take a lot out of him because he had to sit there and watch everyone he ever knew and helped come forward to say crappy things about him, there were people that came to say good things about him as well. It wasn’t recorded. But there were. So you know, he had different days and it was a long process, but at the end of it all, you have to really understand that, I don’t know how anybody can really go through watching your whole life parade in front of you in a courtroom for 5 or 6 months and withstand that day after day after day and people saying things. You could see his expressions. He’d look at people who were lying and he’d just shake his head, like, “you’re a liar.” But he never said it. You watch these courtroom shows and you’ve got people that would speak out, but that was not Michael. He was a really classy person. Really eloquent. Really elegant. Always stood up for the jury, always put his hands together sort of in prayer or homage, like begging the media “please, don’t hurt me” and being respectful of everyone there. I don’t think that was something that he was told to do. There are suspects or defendants who are told “you have to do this, you have to wear that, you have to….” That wasn’t Michael being told anything. That was just who he was. He basically got to a point where he felt, in my opinion, that he was no longer going to let people extort him and he was done with it, and if he needed to brave the trial so that people could see the truth, then he would withstand it, and he did. But did it take a toll on him? Absolutely. I don’t think he ever recovered from that trial and many of the other journalists that covered it with me that have changed their minds over time, one of my friends, a New York Times writer, said the same thing. You know, when Michael died, he wrote an article saying that he never recovered from that trial and that’s become Tom Mesereau’s opinion too, that Michael never truly recovered from that trial. DK: I imagine that would just be awful to go through something like that. AJ: Yeah. I mean just think about it. Here’s Debbie Rowe who he helped, who he gave all of that money to, that is his quote friend and mother and wife and all this, and she’s testifying against him? Then she gets up and starts crying and trying to get his attention and win his favor back. It’s like wacko. So much of the testimony was like that where you really were like, “wait a minute.” It was hard to believe these people. You wondered why were they agreeing to testify for the prosecution, because you realize that what they were saying is either a lie, or now they are changing their story. I mean, so much of that went on as well with the accusers and the family of the accusers. You’re just like “okay, none of you people have your stories straight. You just want money.” That’s basically what the jurors told me after the fact, was that, you know, they thought these people were gold diggers, including the Chandlers, and including Martin Bashir. DK: When the original Martin Bashir documentary was televised, I don’t remember seeing it. I watched it online after Michael’s passing, and the immediate thought I had was, it almost appeared to be a set-up of portraying him in this way. In a very negative light and almost trying to get the public to believe that he was a child molester. (Both the original documentary and Michael’s rebuttal are available for viewing on this site). AJ: It was a total set-up. AJ: In my opinion, it was a total set-up. Absolutely, without a doubt. DK: That’s such a shame because he finally trusted someone to show who he really was. AJ: It resulted in him being charged with criminal charges. That’s huge. It’s not just talking the media. It’s having the media then be used against you in a court and you being called a criminal and being accused of conspiracy and kidnapping and extortion. The counts were incredible. There were 10 counts and then 4 lesser-included…that was “serving alcohol to a minor”, which the judge added to give the jury an option to find him guilty of “something”. DK: That was something that the Arvizo’s claimed against him….that he had served them alcohol? DK: Once you decided to write the book, you had gone and asked the judge to see all of the evidence and court transcripts, etc? DK: What specifically from what you saw….were there certain things that really stood out for you when you saw all of the evidence that confirmed what you were thinking, that something wasn’t right? AJ: Well the main thing was without a doubt, that the accuser was lying and seemed prodded to me by the police in Santa Barbara when he was first telling his “story”. The minute I started to think of that and realized, in my opinion, he was not telling the truth and that the police were prodding him, and they were saying things like “don’t worry about it, we’ll help you tell this story. It’s okay, you can, you know, we already know Michael’s a bad person,” that kind of thing was being said, and it was like, “oh wait a minute,” and the kid was like not even paying attention. He was basically wanting to go and have his M & M’s or something, and it was like, “wait a minute.” These things, in my opinion, did not add up. I did not believe him. DK: I know that there was an issue about the photographs that were taken in 1993 and they were not allowed the courtroom for the 2005 trial, is that correct? AJ: Right, they were not. DK: You had mentioned in your book that the trial showed Michael living a life different from what we would have originally thought about the King of Pop? You mentioned going through the trial and seeing a different side of his life than what one might expect. What kinds of things? AJ: Yeah. We saw in his profile that he really liked Kentucky Fried Chicken and things like that where you said, “oh, Wow!” We saw his bedroom and it was kind of a mess. DK: When you went to get your book published, you had approached different publishers and got a reaction that they didn’t want anything “pro-Jackson”. How did that make you feel, especially since you’re a New York Times best-selling author? AJ: I just was mortified. I was absolutely stunned. Here he had been exonerated, and because he had been exonerated, there was no book deal for anybody. The only book deals were going to be book deals for people that were going to trash him. It was stunning for me because I never thought of the publishing world as being a biased place. I never really did. It just wasn’t a thought that, it wasn’t something that I lived with. DK: So you had never experienced that before in any other book that you tried to publish? DK: Why do you think they reacted that way? Because of the coverage that went on? AJ: I think they were already on the negative train and that’s all they wanted. 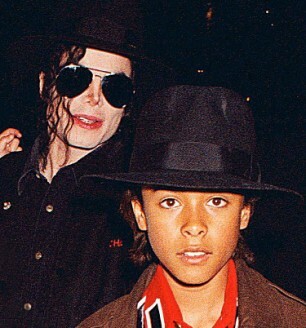 DK: Did Michael ever read or acknowledge your book, “The Michael Jackson Conspiracy”?